ST. PAUL, Minnesota, June 13, 2011 (ENS) – New and virulent forms of a fungus called stem rust that attacks wheat are spreading quickly across the world, borne by wind beyond the handful of countries in East Africa where they were first identified. But hope emerged today at a global wheat rust symposium in Minneapolis. Scientists said they are close to producing super varieties of wheat that will resist variants of the Ug99 strain of stem rust, while boosting wheat yields by as much as 15 percent. The original Ug99 was first discovered in 1998 in Uganda. New data to be presented at the symposium this week show that key Ug99 variants have been identified across all of eastern and southern Africa. 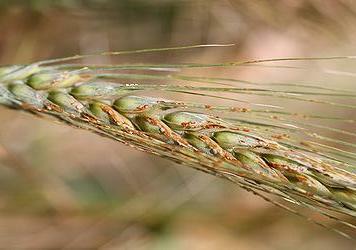 Scientists say it is only a matter of time before the rust spores travel to India or Pakistan, Australia or the Americas. “We are facing the prospect of a biological firestorm, but it’s also clear that the research community has responded to the threat at top speed, and we are getting results in the form of new varieties that are resistant to rust and appealing to farmers,” said Ronnie Coffman, who heads the Durable Rust Resistance in Wheat project at Cornell University, which is coordinating the fight against the disease. Coffman and his colleagues warn that significant obstacles must be overcome before the new varieties of wheat can replace susceptible varieties that cover most of an estimated 225 million hectares (556 million acres) of wheat fields across the breadbaskets of South Asia, the Middle East, China, Europe, Australia and North America. “Now it’s a question of whether nations are willing to invest the political and economic capital necessary for agricultural research to secure the world’s wheat supply,” Coffman said. In February, the UK Department for International Development and the Bill & Melinda Gates Foundation announced that they will invest US$40 million in the Cornell project to combat deadly strains of Ug99. The U.S. Department of Agriculture is investing in the new varieties and the U.S. Agency for International Development will be working to get the rust-resistant wheat to developing countries where vulnerable varieties are grown. In Minneapolis today, officials from the U.S. two agencies today broke ground on a state-of-the-art greenhouse that will play a key role in the fight against Ug99 and its variants. The 2,880-square-foot greenhouse will be operated by scientists from the USDA Agricultural Research Service. The greenhouse will increase controlled growing space at ARS’ Cereal Disease Laboratory on the University of Minnesota campus in St. Paul, and boost the laboratory’s analytic capacity five-fold. “Historically, stem rust has been the most destructive disease of wheat and barley, but in recent decades, scientists have been able to breed resistance to this disease into new varieties of wheat,” said ARS Administrator Edward Knipling at the groundbreaking. 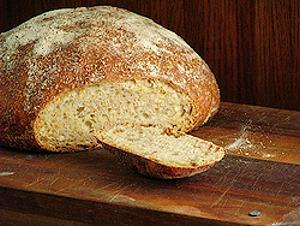 “More than 80 percent of our global wheat crop is vulnerable to Ug99. This new greenhouse puts another U.S. research facility on the front lines to battle Ug99 and help secure global food security,” said Knipling. The construction of the greenhouse is being funded through a $4.5 million cooperative agreement between USAID and USDA through Feed the Future, the U.S. government’s global hunger and food security initiative that seeks to address child malnutrition in 20 food-insecure countries. 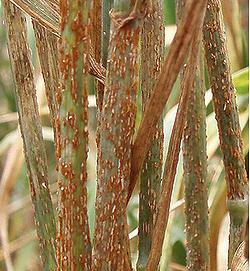 The scientists at the ARS Cereal Disease Laboratory are known worldwide as experts in tracking the emergence and spread of new virulent rust strains. They identify and characterize rust samples from all over the world and collaborate with national agricultural research systems in developing countries. The scientists work to find new genetic resistance to stem rust and other rusts and incorporate those genes into new wheat breeding material. The new greenhouse will help speed the hunt for these vital resistance genes. It’s really a race against time and wind. David Hodson, with the Global Cereal Rust Monitoring System at the UN Food and Agriculture Organization told conference delegates that Ug99 or variants are now confirmed in Uganda, Kenya, Ethiopia, Sudan, Yemen, Iran, Tanzania, South Africa, Zimbabwe, Mozambique and Eritrea. “Future spread of these variants outside of Africa is inevitable,” he said. The spores that cause stem rust disease can ride air currents out of Africa to South Asia and, potentially, from southern Africa to Australia as well. The spores can also hitch a ride on the clothing of infected travelers and cross continents without warning. Of particular concern is Yemen, where Ug99 is well-established in wheat growing regions and prevailing winds could carry the pathogen towards South Asia. Hodson said there is “good circumstantial evidence” that the stem rust now in Iran drifted some 2,000 kilometers from Yemen. But political unrest in Yemen has made it difficult to monitor and contain the disease and to deploy resistant wheat varieties. Rust-resistant varieties recently distributed to Yemen from Mexico perished in quarantine. Still, Hodson said, FAO surveillance partners in Yemen recently conducted a comprehensive assessment of a majority of the country’s key wheat-growing areas. Hodson said the good news is that there are now over 20 countries contributing data to the Ug99 surveillance and monitoring system, compared to only two in 2007, with efforts underway to add 10 more. New technologies, like remote sensing, and the use of smart phones to enter and transmit field data, may improve Ug99 tracking in the future. 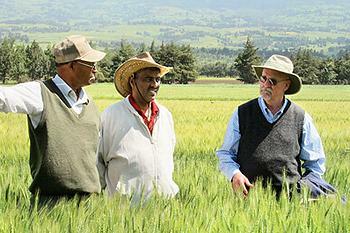 Ravi Singh, a wheat breeding expert at the International Maize and Wheat Improvement Center in Mexico, known by its Spanish acronym, CIMMYT, is working with colleagues from the Kenya Agricultural Research Institute, the Ethiopian Institute of Agricultural Research and the USDA. They will report this week on new varieties of wheat under development at CIMMYT that have resistance to all three rusts of wheat: stem rust, yellow rust and leaf rust. Some of the new varieties yield 10 to 15 percent more than current cultivars. “We have made tremendous progress on the science side but now we need to see progress on the development side,” Singh said. 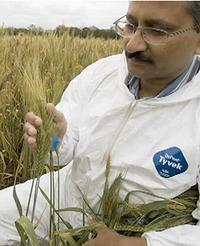 Click here to see a video on Ug99 wheat rust and the new varieties of wheat that are resistant. Copyright Environment News Service,ENS, 2011. All rights reserved.